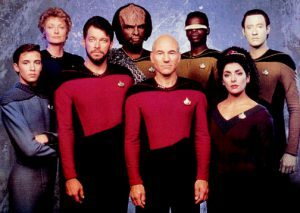 Star Trek: The Next Generation is one of my favourite TV shows. During my third re-watch of the first season, I reached this particular scene in episode 15, named 11001001, and I decided to write about the show. The setting is a jazz bar on Bourbon Street in New Orleans. A team of piano, cello and drums plays jazz standards from the 1950s. Three people are seated around a table, with drinks of their choice. One of them is a short haired brunette in a red dress. The other two are men, dressed in what appears to be military uniforms; one of them seated opposite the charming brunette. And Minuet starts kissing Commander Riker’s hands. The Star Trek franchise is about space exploration. It is set in a universe where humans no longer have the need to possess and amass wealth. They have taken to the skies to explore the infinite possibilities of this universe, and probably others too. The USS Enterprise NCC 1701-D (call sign of the ship) was designed and built to provide a comfortable environment for a large crew as they travelled in deep space for extended periods of time. To keep them from becoming weary, the holodeck was created. This holodeck is a Virtual Reality (VR) space. The ship’s computer generates 3D programs, including artificial beings like Minuet, as per the requests of authorized crew members. The holodeck featured in the entirety of the seven seasons of the TV show and acted as a key plot device in various episodes. According to the owner’s workshop manual of the USS Enterprise (official product by Haynes publications), the holodeck is made using different technologies, including holographic projection to create convincing 3D images, force fields to give objects substance, and matter conversion systems or replicators, to literally create physical objects out of thin air. The USS Enterprise had not one but 16 holodecks! I posit that this Star Trek episode has accurately represented the philosophical implications of Virtual Reality (VR) and Augmented Reality (AR) technologies with intricate plot and dialogues. Early technical literature about VR and AR suggests two major approaches. The data-oriented approach looks at the VR experience as data exchange between the VR technology and the user. This is straightforward – the program just responds to various data inputs given by the user. Like Captain Picard says, Minuet is a very sophisticated program built with this data-oriented approach. The second one is the constructivist approach, wherein the user’s perception is not mere data exchange. The user proactively constructs his own experience with his or her state of mind, personal interests, culture, environment and various other factors. This is demonstrated by the way Riker uses the holodeck. He enjoys jazz music from a specific time period that is much before his time. He plays an instrument which is probably not very popular in the time period he exists in. When he enters the holodeck at the beginning of the episode, he constructs the setting according to his personal taste. This VR approach doesn’t entirely depend on data exchange for the immersive experience. The VR program constructs a world, around which the user builds his or her own world. Now let us consider the idea of Da-sein or That Being, propagated by the existential philosopher Martin Heidegger. Since the origin of philosophical thought, the question of what it means to be and exist is very persistent. Heidegger creates Da-sein to explain his philosophical ideas that try to answer this question. One of his ideas is the thrownness of the Da-sein. 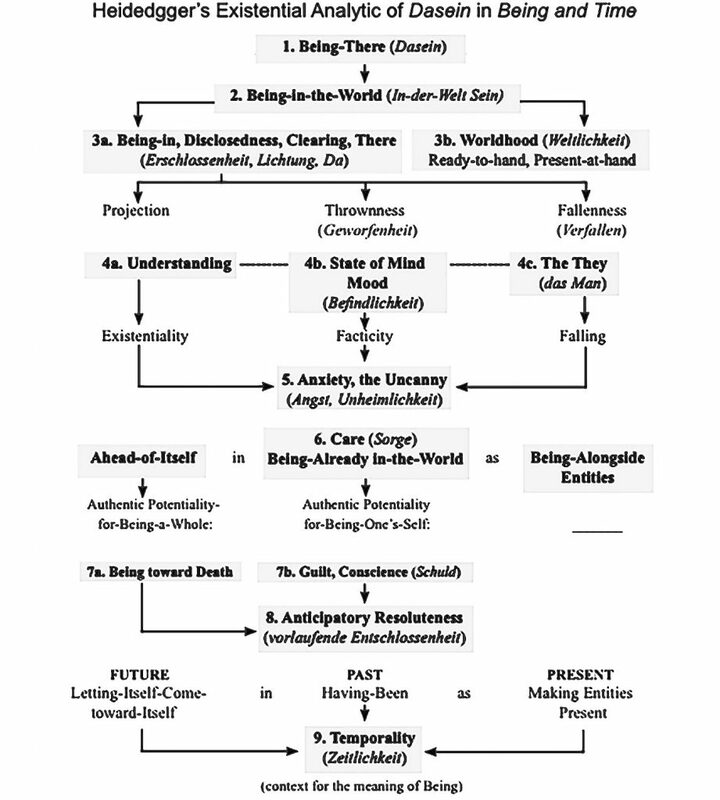 Heidegger says that Da-sein or That-Being reveals itself in its field of experience. 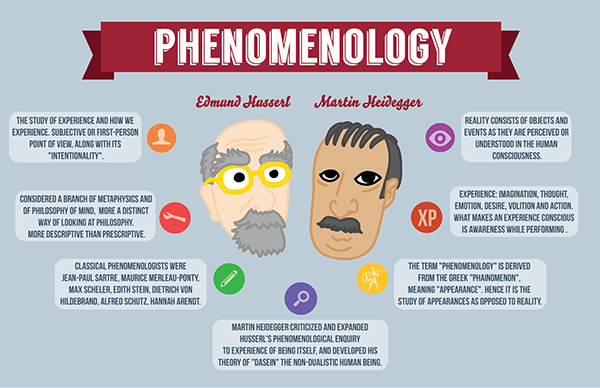 But he doesn’t accept that Da-sein is only limited to experience as claimed by the phenomenologists. He uses the thrownness of the Da-sein to explain some modulations of the being and to explore its nature. He was under the strong impression that throwing a being into an environment (thrownness) could explain its modulations better than creating a specialised set of concepts that transcend the field of experience. Without a field of experience, it is challenging to explain the modulations of the being since the being’s characteristics are closely linked to its environment. VR and AR technologies, in a very crude sense, present to us an artificial and controllable field of experience that enable us to understand various aspects of the being. This is illustrated in the Star Trek scene I have described. 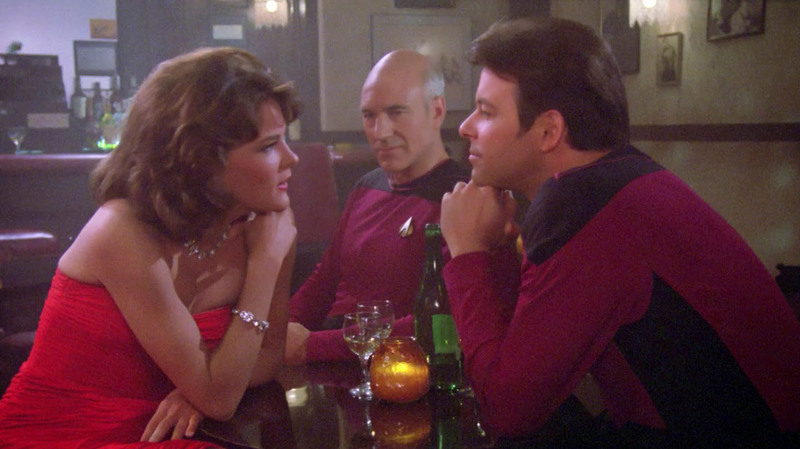 When Captain Picard talks about the sophistication of the Holodeck program, he mentions how Minuet effectively responded to Riker’s expectations and romantic advances. Minuet exuded a confident, conceited yet graceful charm that caught the attention of the Frenchman. Minuet immediately recognized that Captain Picard is French and spoke with her best French diction. All of this was done to keep the two officers of the ship occupied and immersed. Unlike his predecessors, Heidegger had his apprehensions about the assumption that Being can be understood only by reducing its field of experiences and its modulations into simple pure components. For instance, Descartes questioned his reality and hence the Being. He reduced it to pure components and arrived at the conclusion that he knows he exists because he doubts he exists. Heidegger believes that Descartes and others who followed this process of eidetic reduction of the Being didn’t account for the fact that the Being has its own experience without being in a field of experience. The Being as is, is experiencing. So applying Heidegger’s apprehension to the constructivist approach of VR, which is a process of reconstructing reality from its so called pure components, we find that there is always a loss of data. You cannot arrive at a pure component of reality through eidetic reduction. Heidegger rejects the fact that we are mere sense data receptors, and the argument that we can be limited to a finite field of experience. These ideas resonate in the episode. The Star Fleet flagship USS Enterprise is docked in one of the Federation Star Bases. The Bynars are an alien race who have evolved to exist in binary. 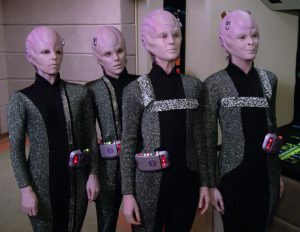 They are employed by the Federation to upgrade the Enterprise’s Holodeck and LCARS computer. We could think of them as some of the best programmers in the universe. The entire crew disembarks at Starbase 74, except the Captain and the First Officer who try out the new upgraded Holodeck. Meanwhile, the Bynars work on the LCARS computer. Being highly sophisticated programmers, yet not understanding the depths of the mind and human existence, they create a VR program that merely responds and adapts to the Captain and the First Officer. It keeps them immersed and distracted. But Captain Picard, with a human mind, quickly sees through the charade. He and Riker soon realize that the Enterprise is being stolen away from Starbase 74 to the planet of Bynars. On investigating, they realize that the planets that the Bynars inhabit is on the verge of destruction, by a star about to become a supernova. Being completely integrated with computers and binary thinking, the Bynars have decided to steal the Enterprise and use its computer’s memory capacity to store their data and “reboot” themselves after the supernova. The episode ends with the Bynars accomplishing the “reboot”. Being binary thinkers, they couldn’t risk the possibility of the Captain saying no if they were to request him. This episode clearly puts across the idea that although Minuet, the VR program, has remarkable sophistication, there is more to be considered in the creation of an artificial being similar to a Da-sein. In conclusion of this log, although the episode may seem to be an edge-of-the-seat action thriller on its surface, it made me wonder about the way humans interact with the environment around us. It made me think of the meaning of perception and cognition. This episode was more than Riker trying to boldly go where no man has gone before with a VR computer program, however charming she maybe. Heidegger and Virtual Reality: The Implications of Heidegger’s Thinking for Computer Representations. Richard Coyne, Leonardo, Vol. 27, No. 1 (1994), pp. 65-73. Available at https://www.jstor.org/stable/1575952. Accessed on Jan 6, 2018. 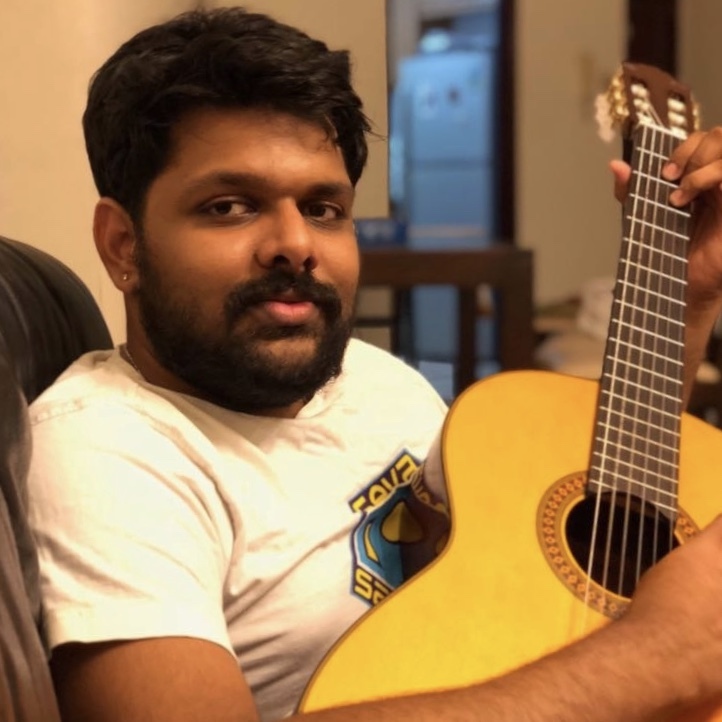 Ajay builds ships for a living and is trying very hard to write science fiction in Tamil. If there was a religion which said Woody Allen is God, Ajay would be one of its archbishops. He is still trying to figure out the right question for the answer “42” and prays ardently every day for some marine biologist to discover the Babel fish. He wishes to write anything what would make people think and laugh.